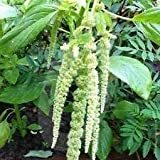 Amaranthus caudatus growing herbaceous of the genus Amaranthus also known as Love lies bleeding plant. Amaranthus caudatus annual plant and also used as ornamental plant, grow in mediterranean, subtropical, temperate or tropic climate and growing in hardiness zone 2+. Leaves are edible, the color is green. 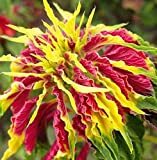 Amaranthus caudatus 100 Seeds Love Lies Bleeding Tassel Flower Annual Brilliant Red Color Sun or Shade Butterflies and Hummingbirds Love! How to trim Love lies bleeding leaves?